Attorney Richard Tizzano is the author of Accidental Safari: A guide for navigating the challenges that come with aging(2017). 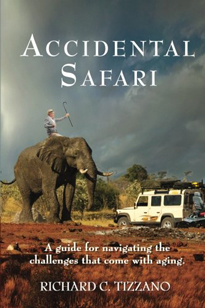 As we age, facing an uncertain future without a plan is like taking an 'Accidental Safari' without a map. An unexpected health crisis or financial setback can propel us into unknown territory at any time. 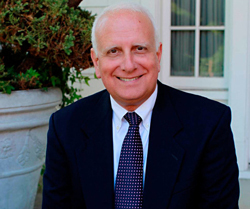 In his book Tizzano, a trusted advocate in Elder Law and Crisis Management, guides us through the jungles of Medicaid, Medicare and health insurance; wills, directives and powers of attorney; long-term care facilities and residential options; financial resources and regulations; and spiritual support systems. With compassionate, often humorous, stories from the thousands of families he has helped, Tizzano shows us clear pathways that lead to peace of mind. Tizzano is a principal at Sherrard McGonagle Tizzano & Lind. He has 25 years of legal experience and specializes in the field of Elder Law and Long Term Care Crisis Management, Strategic Care Cost Risk Mitigation and Sustainability, Estate Planning & Settlement, as well as Guardianships and Adoptions. He also has formal training in finance and pastoral care.